In 2001, I founded Teatro do Vestido based upon an awareness that I wanted to write the texts I would be staging. My work as playwright is therefore intertwined with my work as a director. I remember that we tried not to be linear in the stories we were telling nor in the way of telling them. We were driven by a poetic impulse and a direct relationship with the stage (whatever that stage might be, as most of our productions were actually staged… offstage – in places like a mental hospital, several streets, private houses, abandoned factories, and so on). In 2019, I am driven by the same desire of considering theatre in its close relationship with text that are sufficiently poetic and complex as to allow me to construct a staged score made of layers. It is truly difficult to describe what I attempt to do with my playwriting. I depart from the observance of reality and from a deep conviction that reality – everyday life – is a true repository of histories, images, and memories. I depart from myself and from the life stories of the artists I am working with – from our relationship or connection with the materials and the departing points of each project. My writing is the synthesis of all those elements. It relates and connects what we see with what we are, what we hear the others telling us with how that resonates with each of us. I therefore place my playwriting on that place in between. Joana Craveiro is a Portuguese director, writer, performer and teacher. 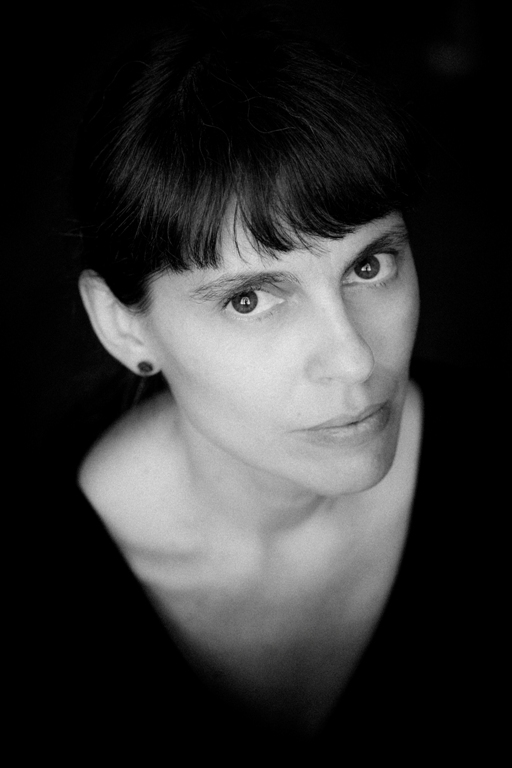 Craveiro holds a PhD from Roehampton University, in London, with a thesis entitled: “A Live/Living Museum of Small, Forgotten and Unwanted Memories – Performing Narratives, Testimonies and Archives of the Portuguese Dictatorship and Revolution.” She has published several articles about her thesis on memory and postmemory transmission through performance. Her performance-lectures have been shown in international conferences since 2012: New York, Aarhus, Bristol, London, Skopje, Dallas, Montreal, Barcelona, Bangalore, Belém do Pará, and several venues in Portugal. She holds a Master Degree in Directing, from the Royal Scottish Academy of Music and Drama (RSAMD, 2004), a Degree in Anthropology (Universidade Nova de Lisboa, FCSH, 2003), and a Bachelor Degree in Acting (Escola Superior de Teatro e Cinema – ESTC, 1997). She has further studied with Alexander Kelly (Third Angel, UK), Goat Island and Every House has a Door (Chicago) – with them she learned and experienced with devising and collaboration. Craveiro is associated researcher at Instituto de História Contemporânea IHC/Nova, in Lisbon. She is interested in the poetics and the transmission of memory, and her work intersects autobiography, (political) memory and private archives. She keeps investigating about the Portuguese revolution of 1974-75, its subsequent rewritings and remnants, as well as the Portuguese dictatorship and political violence, and the Colonial War of 1961-1974.She is also interested in all kinds of stuff and keeps ethnographic journals of daily observance of reality. Viajantes Solitários/ Lonely Travellers is a play about truck drivers, which I have written after a thorough collection of life stories by truck drivers. I have interviewed these men (they were all male, no female drivers were available for interviewing) in the year 2015 in the region of Viseu, north of Portugal. The play was written already envisioning its staging: in the back of a truck. The text runs through the common thread in the stories of these men: solitude, fear, boredom, home (or its absence), the ongoing journey, while referring to particular aspects of some of these men’s lives. About what do these men think during so many hours? – This was my primary question, which led me into talking to them for so many hours.